Choreographer, performer, director and teacher Simon Lind has joined the Aboriginal Centre for the Performing Arts (ACPA) as the new Head of Dance. Simon brings to the role his broad genre and international experience in the classroom and on the stage, as well as television, movies, and animation. ACPA CEO, Dr Dimitri Kopanakis, said the appointment coincided with the start of preparations for the Centre’s annual showcase performances on 7 and 8 December. “To have Simon on the team in time for this year’s final performance is very exciting, especially since we are celebrating our 20th birthday,” Dr Kopanakis said. “Simon is a highly experienced teacher and accomplished performing artist whose expertise across several media, both live and recorded, will add a new dimension and energy to our dance programs. Simon came to ACPA after five years as artistic director for the long-running Davidia Lind Dance Centre (DLDC) and its nationally accredited courses. He has helped many students achieve success within the entertainment industry while pursuing his own distinguished career as a performance artist, choreographer, and creative consultant. 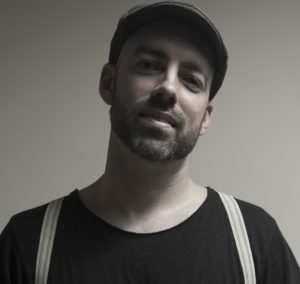 Although Simon is comfortable in the limelight, appearing in national touring shows such as The Boy from Oz, Westside Story and the Grease the Arena Spectacular, much of his work has been performed by others, for example choreographing for Delta Goodrem and Jessica Mauboy, and playing principal motion capture performer roles in both Happy Feet movies. Simon has also worked as artistic director and choreographer on top-rating talent shows, including X-Factor Australia, Australia’s Got Talent, So You Think You Can Dance and Australian Idol. “I’m having an absolute blast teaching at ACPA. Nothing gives me more pleasure than to see students achieving their goals and seeing their faces as they go onto great things,” Mr Lind said. Performing regularly at major venues and with high-profile artists helps motivate ACPA students to commit to their studies, resulting in a steady retention rate of 80 percent. Approximately 80 percent of recent graduates continue on to higher education and 17 percent secure employment in the performing arts and related industries. Enrolment is by audition and open to both Indigenous and non-Indigenous applicants. For more information about auditioning for ACPA’s dance courses, visit http://acpa.edu.au/achieve-at-acpa.